Jessica came running in the gate and exclaimed, "I've been singing "Let it Go!" and instantly the idea to have music outside was planned. 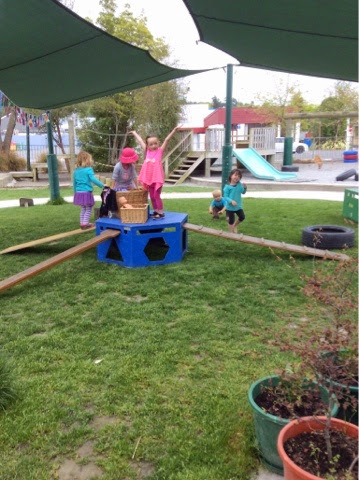 We decided to place the speaker in the middle of the grass area on the blue box and tucked away so it wasn't obvious to see how the reactions from the children and in particular Jessica who sparked the idea. A group came together climbing up the forms recognising the tune and Tyla, Charlotte and Bailee joined Jessica singing at the top of their voices. Music brings 3year olds together and observing them we could see that the video is well watched as the girls express themselves alongside each other. In particular, Jessica was using a saw to dig in time to the music that begins the movie and was followed by another child. 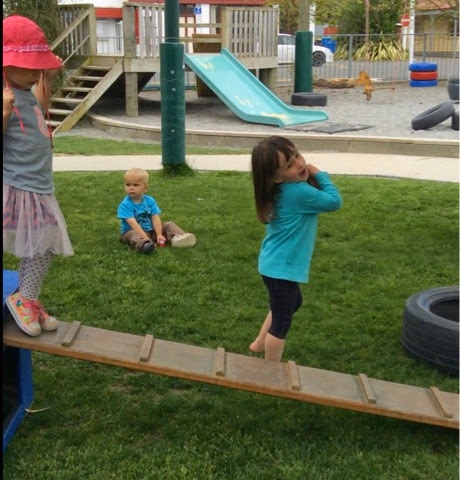 Tyla and Bailee waved their arms as they sang the song and moved up and down the lengths of the forms! We really enjoyed watching the creative dancing and have decided to download the songs of the movie to continue to use at the Kindergarten. 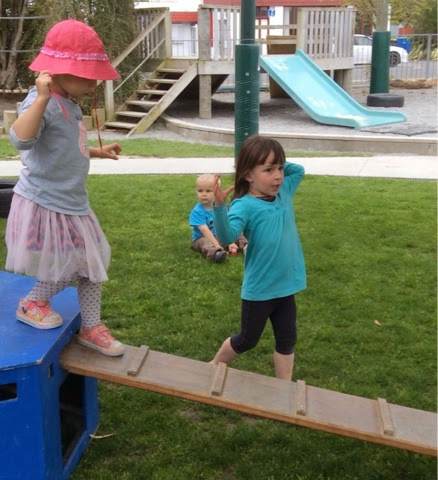 It is so excting to see such high interest and music being the cataylst for the children to be playing together/ mahi tahi as each experience in doing so, encouraging their whanaungatanga/relationships! Kia kaha tonu/keep it up!